January 5th is a day that will forever humble me. On this... – Juka's Organic Co.
January 5th is a day that will forever humble me. On this Friday, I am happy to announce that the Walmart Super Center in Portal Ranch, California is now carrying Juka’s Organic Co., Products. After two years of hard work to be part of their team and one year of good sales analytics on Walmart.com, we have now been given the opportunity to be a vendor at Walmart Neighborhood Stores.The approval of Walmart for Juka’s Organic Co., to be its partner in this location is a huge stepping stone for us and the whole team including our Women suppliers In Africa. We are grateful and extremely excited to have this opportunity as Walmart rebrands to go into the Organic market and serve its customers. We are confident that very soon we will be in almost all Walmart Super centers around the nation. 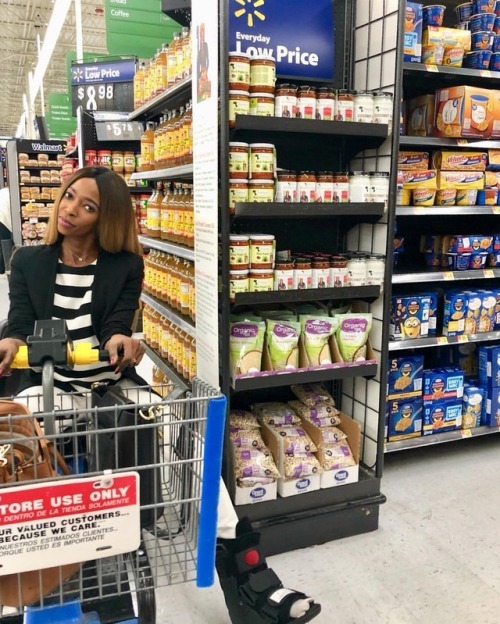 Although I fractured two bones on my foot just 5 days ago after falling, I just couldn’t missed being at Walmart when the products were being displayed on the store shelves. This opportunity is bigger than me and those that I work with. I look at this as an opportunity to bring Africa to mainstream as a leading health food provider in the West. We thank Walmart, all our friends, family, customers and social media folks that have liked, shared or just acknowledge our products and posts. Many blessings to you all!